Constructed in premium 3/4" MDF - SEALED with medium air Volumes! Low priced, but still stapled, glued and chalked for no vibration or air leaks! 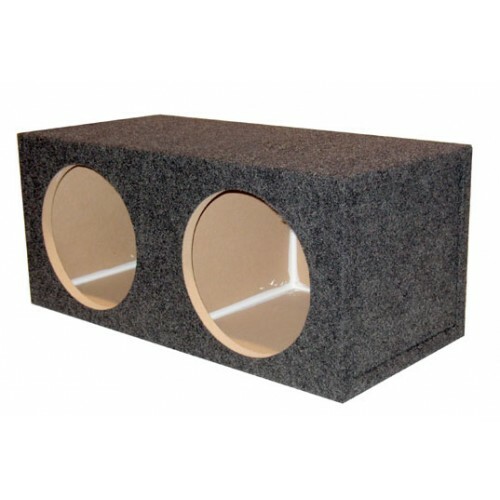 Woofer mounts on the square face parallel to the back of the speaker chamber. Standard push terminal blocks.